Adam joined the firm as an associate in the litigation group in April 2015. His practice focuses on commercial litigation and white collar criminal defense. Prior to joining RMG, Adam most recently served as Assistant State’s Attorney for the Baltimore City since 2011, where he investigated and litigated gang, organized crime, and violent repeat offender cases in the Circuit Court for Baltimore City, while assigned to the Major Investigations Unit. Prior to that, Adam was Assistant State’s Attorney for the Montgomery County from 2008 to 2011, where he litigated cases in the District and Circuit Courts for Montgomery County. Adam taught as an Adjunct Professor at the University of Baltimore School of Law in the Intro to Legal Skills and Moot Court Programs courses from 2008 until 2015. He is a member of the Maryland State Bar Association’s Maryland Criminal Pattern Jury Instructions Committee, as well as an active member of the MSBA’s Young Lawyers and Criminal Law sections. 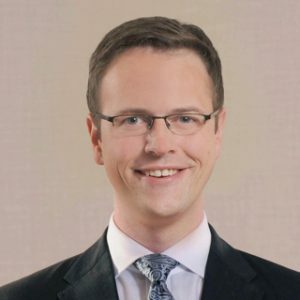 Adam is a 2008 graduate of the University of Baltimore School of Law, and obtained his undergraduate degree from Montana State University in 2004. He is admitted to the Maryland State Bar and the U.S. District Court for the District of Maryland.